Do You Want To Make Quick Work Of Your Soil? 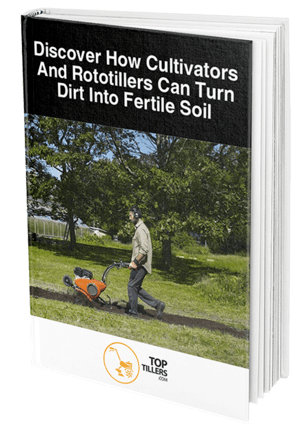 Download our FREE eBook guide and discover how tillers can help you prepare your soil for planting! 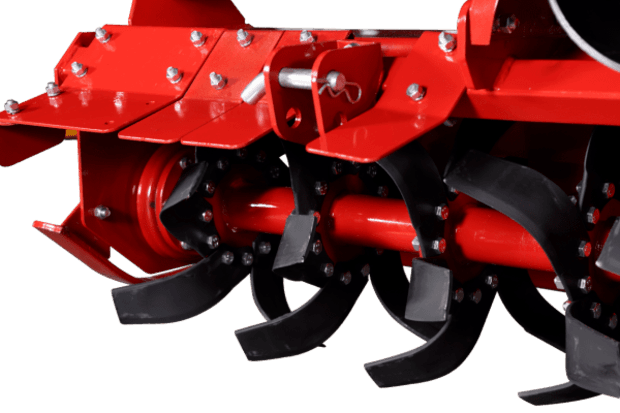 Harrowing Vs. Tilling: Is There A Difference Between The Two? Ask any gardener or homeowner with a lawn or garden bed, and they’ll tell you just how important it is to keep it looking good. For many, this job is made easier with a rototiller which does hours of work with minimal effort. 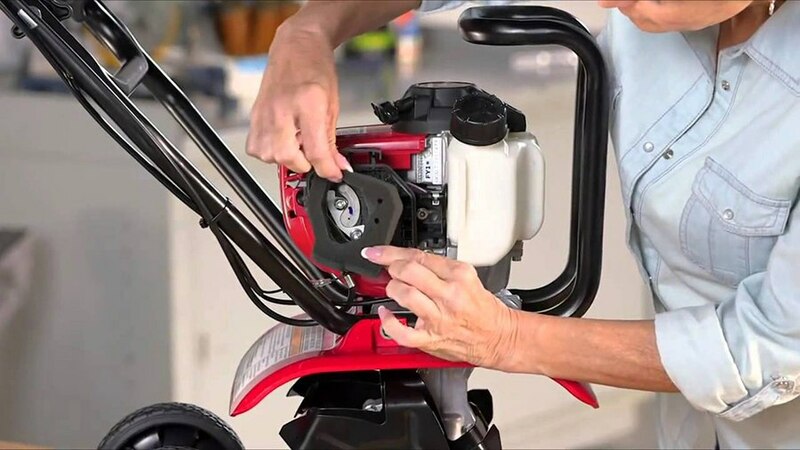 Tillers, like all other machines, require some upkeep and from time to time you might need to do some tiller repairs and maintenance. Because these machines can seem complex, people think they have to send it away or take it to the repair shop to fix which can be expensive. However, with a little bit of know-how about common tiller problems you should be able to do the job yourself. This guide will cover some of the more common issues that occur with tillers and can help to troubleshoot some problems. Knowing how to take care of your tiller will save you time and money in the future and ensure that your garden’s favorite tool is well looked after. 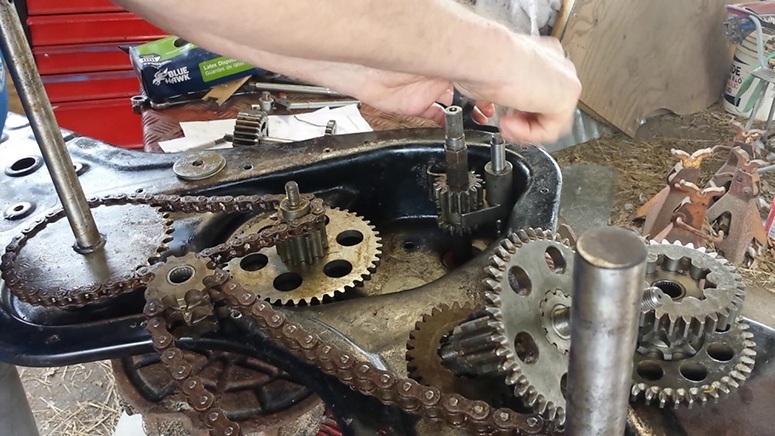 Before we can get into the rototiller repairs that this machine might face over its lifetime, we need to understand its basic care. A rototiller prepares the earth for growing things and it’s essential for having a good garden, but there are many working parts that need attention. The basic design of a tiller is a small gasoline engine connected to traditional tilling blades, but the blades are operated without you having to do any of the work. These blades, also known as tines, will work their way through the soil and aerate it so that it’s ready for planting seeds, killing weeds, and keep the soil nice and aerated for health. ​Clean and lubricate the tines often to prevent them from jarring up or becoming rusted. ​During winter, put a fuel stabilizer into the tank to prevent any problems while it’s not in use and stop it from going stale. ​Replace tires as needed or fill the air up if they have gotten low. 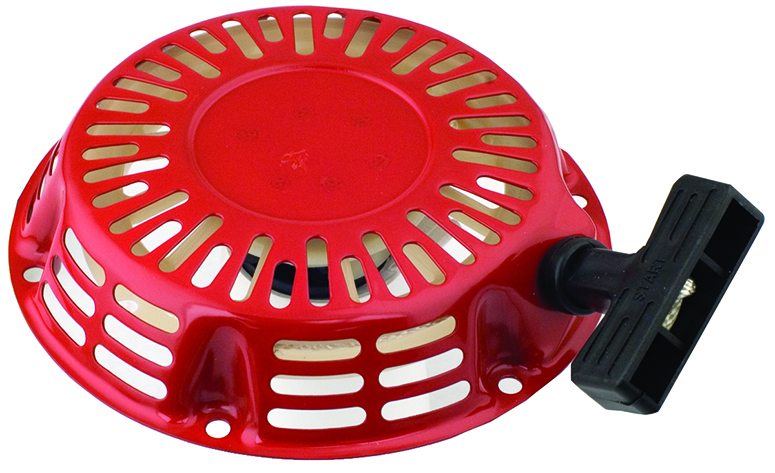 Keep the air filter clean and change it out when needed. Always use a clean fuel filter and be sure to change regularly to ensure it’s doing its job. ​Upon experiencing these problems, people might assume that they need to call the experts for help. However, there are some things you can work your way through and check that might solve the problem without needing to pay any extra for professional help. The transmission is what controls the wheels and tine’s motion, so if either isn’t moving this will likely be the most obvious fix. If the tiller isn’t doing the job, you may need to replace the tines or blades. This will be obvious by poor performance and it not adequately aerating the soil. Just like you’d tune up your car, you can tune up the engine of a tiller as well. Do things like changing the oil, lubricate the moving parts, and replace the air filter. If your tiller is quite old, it could be that the carburetor needs replacing. This occurs due to the old gasoline that builds up which means fuel can’t get through to the engine. This can cause problems with not starting or stopping just a few seconds after it’s been turned on. If your tiller is operated with a recoil starter, it could be this is the problem and not the engine itself. You can repair or replace them quite easily if it’s identified as the cause. Sometimes a simple adjustment of the settings might be all you need to do. Check the conditions of the soil and ensure that it’s set to the right depth to work. There’s no doubt tillers have helped many a gardener get the job done and saved hours of hard work. Using a tiller is an easy way to do everything from aerating the lawn to killing off weeds, and using a rototiller means having a versatile tool that’s capable of so much. Caring for your tiller with ongoing maintenance and being aware of any problems as soon as they arise will guarantee a long life for your favorite gardening tool. People often assume that expensive, expert help is the only way to go when they’re actually quite capable of fixing it themselves. If you own a tiller, you can be aware of the potential problems and know how to troubleshoot them to find the real cause. With your own knowledge on hand and an understanding of your favorite gardening accessory works, you’ll never have to rely on an expert again to fix it as you can get the job done yourself.